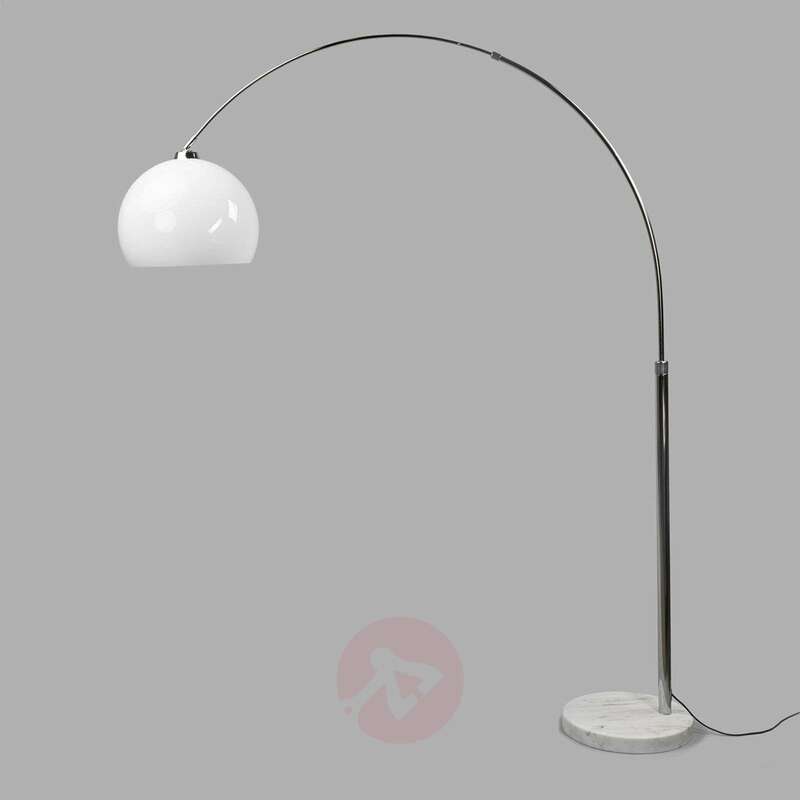 Arc floor lamps have been very popular for a while now and are found again and again in modern-looking homes. 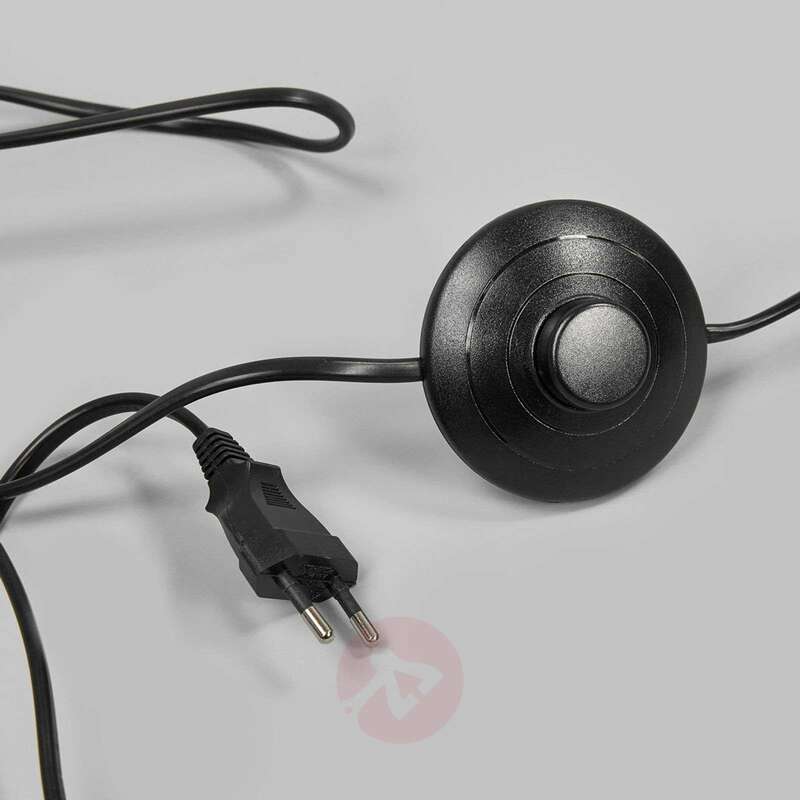 They are not just functional, but also have an elegant appearance. Looking at the Fjella arc floor lamp, you will quickly notice that it ticks both these boxes. The arc floor lamp is functional insofar as the base can be positioned where there is room, but the light can shine in another part of the room. 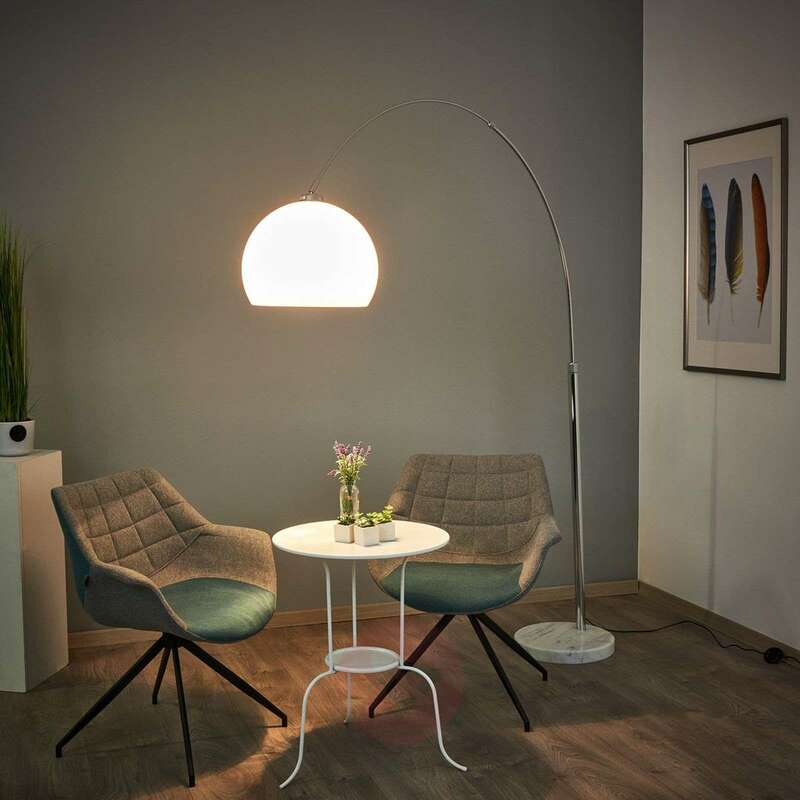 If you have a large living room with a seating area featuring corner chairs and maybe even foot stools, you can use Fjella to your benefit: The light is great for reading whilst you lie back on the sofa and enjoy your book. 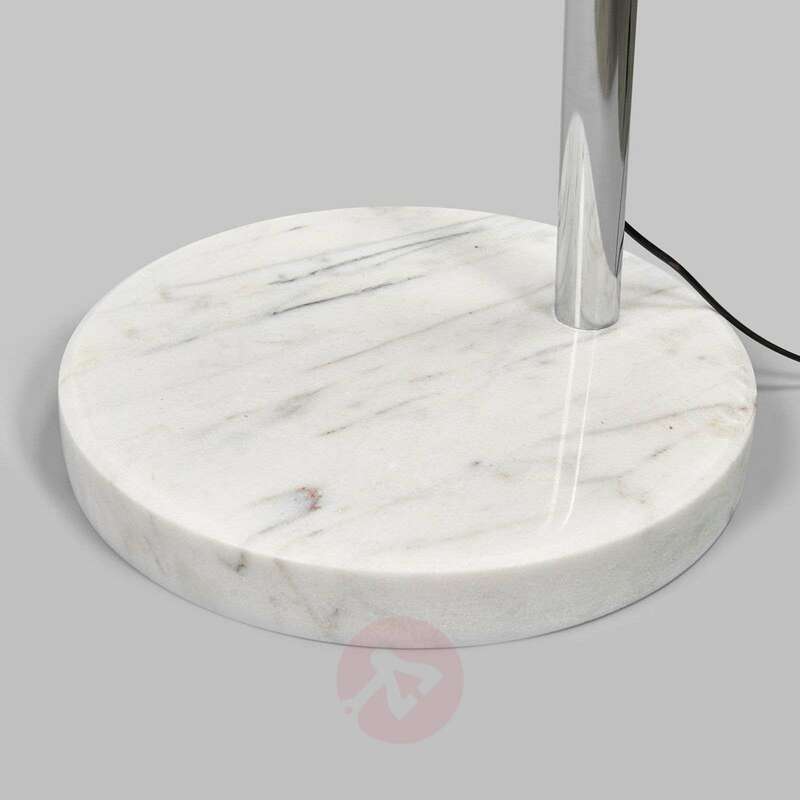 The base of the arc floor lamp is made from heavy marble, thus offering great stability. This is, of course, necessary as the lampshade reaches far into the room. 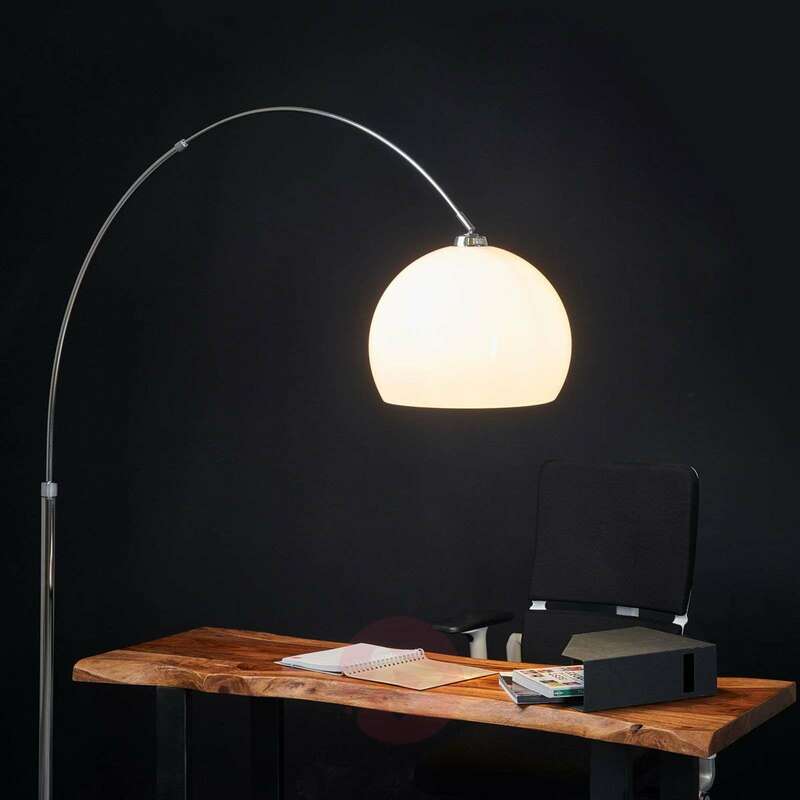 If the counterweight in the base were insufficient, there would be a danger of the light falling over. A marble base ensures great stability however. 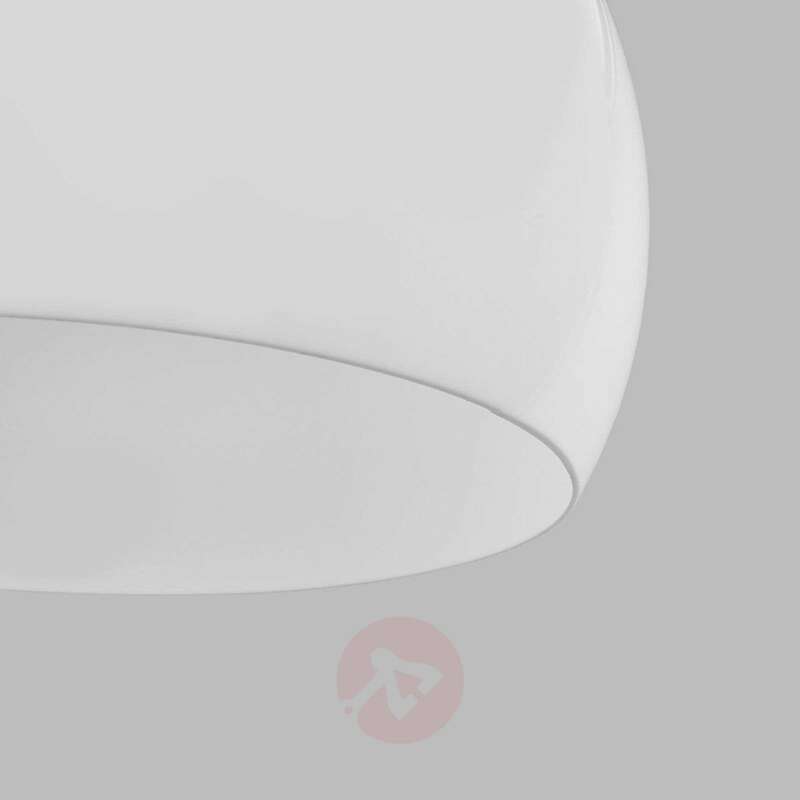 The lampshade is made from robust, white acrylic, and creates a lovely homely light that is distributed evenly. 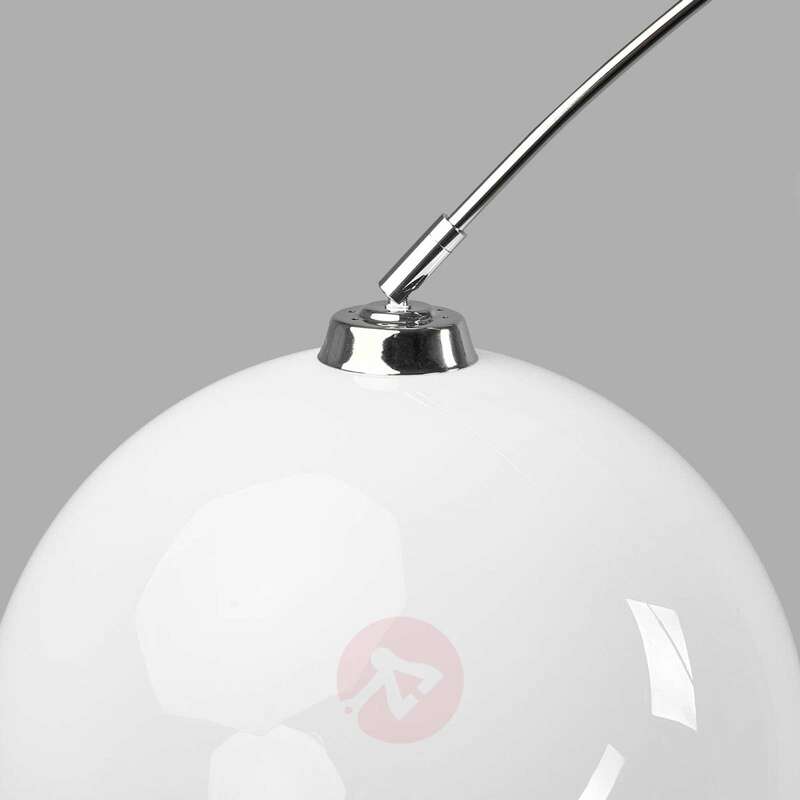 The light does come in Chrome however it is not dimmable. 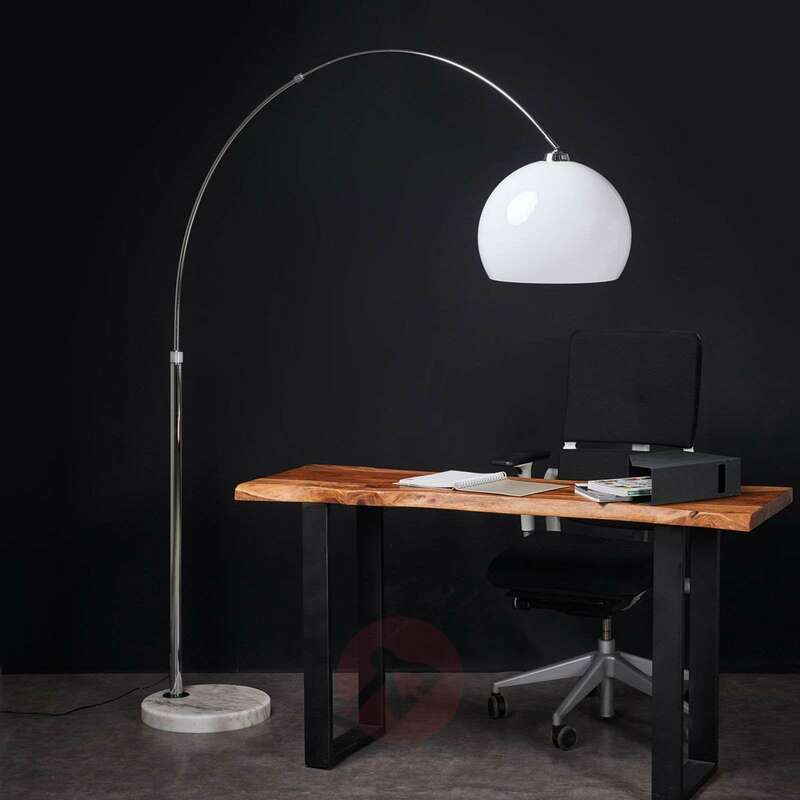 Is it possible to swing the lamp to the side or is the stem of the lamp fixed into position in the base? In this light it is not possible. You would need to turn the whole light from the base.